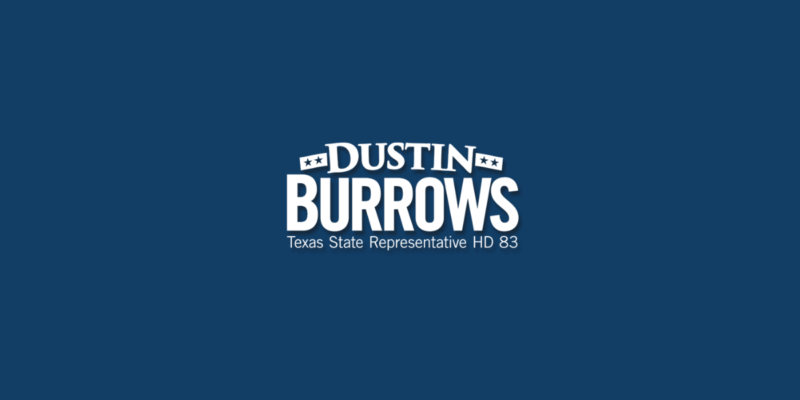 With support from State Representative Dustin R. Burrows (HD83) the Texas House of Representatives today passed a series of bills to rebuild communities, strengthen infrastructure, mitigate flooding and ensure the State of Texas is better prepared to respond to future natural disasters. 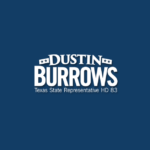 “Today’s legislation fulfills a majority of the recommendations made by the Governor’s Commission to Rebuild Texas and addresses the critical issues coastal Texans have faced in the months since Hurricane Harvey made landfall,” said Representative Burrows. One of the most difficult challenges the state and local jurisdictions faced during the recovery after Hurricane Harvey was debris removal. House Bill 5 directs the Texas Department of Emergency management (TDEM) to create a catastrophic debris management plan for local use as well as improving contracting for debris removal. Establishing a debris management plan allows local communities to deliver quicker responses. Additionally, this simplifies the Federal Emergency Management Agency (FEMA) reimbursing process. Recovery efforts were identified as the weakest phase of the emergency management cycle in Texas. House Bill 6 would task TDEM with developing a Disaster Recovery Task Force to provide specialized assistance to support those with financial issues as well as federal assistance programs. The Task Force would also focus on recovery and resiliency planning to streamline and expedite recovery at the local level. The Task Force would operate from the beginning of a disaster through the long-term recovery period which would provide significant support for smaller communities. The mission of the Task Force is to strengthen recovery functions while utilizing resources of institutions of higher education, state agencies and organized volunteer groups. After a major flooding event like Hurricane Harvey, federal funds are appropriated to the state for mitigation projects. However, many counties and cities aren’t able to provide the 35% of local matching funds, which is why House Bill 13 creates the Flood Infrastructure Fund (FIF). FIF is a statewide cooperative effort for regional flood planning, mitigation and infrastructure projects to make Texas “future-proof”. Proposes a constitutional amendment providing for the creation of the Flood Infrastructure Fund to assist in the financing of drainage, flood mitigation and flood control projects. Ten additional bills were passed to directly address the recommendations made by the Commission to Rebuild Texas, including, HB 2305, HB 2310, HB 2315, HB 2320, HB 2325, HB 2330, HB 2335, HB 2340, HB 2345 and HB 2708.